Manikarnika Box Office Prediction by Bobby, will it be a HIT or FLOP? Guest Post! The box office has seen a huge turnaround in the last year. Films featuring non-superstars such as Raazi, Stree, Badhaai Ho, and the recently released URI have all weaved magic at the box office, whereas films of superstars such as Race 3, Thugs of Hindostan, and Zero have all bombed at the box office. Of course, the big difference was that the films in the first category were all considered to be good films, whereas the films in the second category (read: the Khan films) were all considered to be bad films! 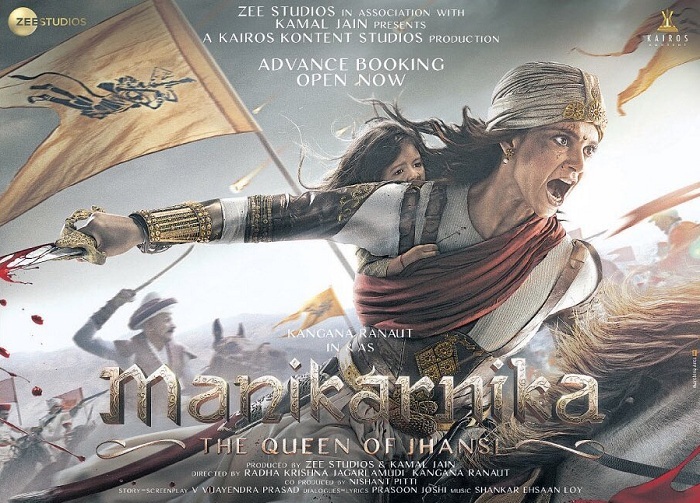 This week’s release, Kangana Ranaut’s Manikarnika: The Queen of Jhansi, is a film that will belong to the first category: it may not have any superstar in its lead cast, but the film will do magical business at the box office! Pre-release Buzz: Despite a terrific response from viewers towards the theatrical trailer, it has to be said that the overall buzz for the film is low. As such, it can be expected that the film will take a poor opening in the morning shows on Friday at the box office. Predicted public WOM (Word of Mouth): This is what will work immensely in the film’s favor! I’m predicting that the film will carry outstanding reports amongst the paying public. So, despite a poor opening, I feel that the film will show a phenomenal trend and go on to be a major winner at the box office. As a matter of fact, I feel that the extremely positive WOM will come into play during the post-morning shows on day one itself, which will change a poor opening day collection into a decent opening day collection. Manikarna will also get advantage of the Republic Day holiday on Saturday to boost the film's collections. The film has a one week free-run until Ek Ladki Ko Dekha Toh Aisa Laga releases on February 1, which will take some screen space from Manikarnika. Less than 100 cr .. Maharashtra will go for thackrey ..even I'll go for thackrey because it has Amrita Rao ..my all-time favourite. I don't like this kangana ..always using cheap publicity. Gawar Bobby sudhu raazi,stree and badhaai Ho are all low budget movie wherelse this is a big budget movie. It not the same. Raazi,stree and badhaai Ho knew their limitations and use it in the best way and this movie has Kangana who doesn't know her limitations and use it for Kangana way. Comeon dude. You should have stayed away from predicting bold this time, like you did with Zero and Simbaa. You went with your guts instead of facts back then and this time too you're doing the same. 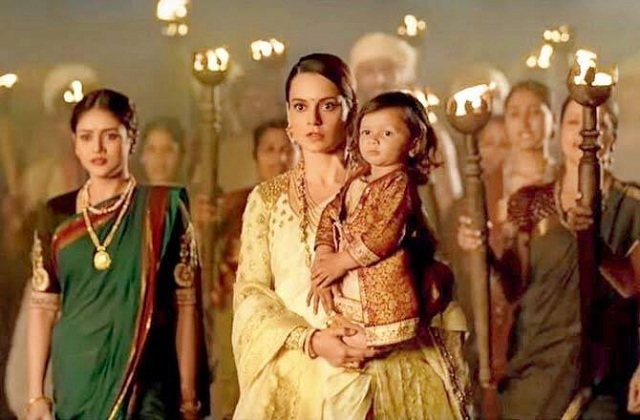 The fact of the matter is that the script of this movie would have been amazing in the first draft (because it was written by or in the guidance of one of the greatest writers of current time, KV Vijayendra Prasad, who wrote Bahubali series and Bajrangi Bhaijaan); however, Kangana took over this movie with force from the original director and messed up alot with the original idea. I love her as an actress but she is not so good as a person and that has bit her again and again in her life. She is running mighty right now during the promotions of the movie, but her meddling with the will make it an average performer. And as soon as that happens she will have an excuse ready and will blame someone else for the failure. This film will gross over 200cr.. mark my word. It will beat thackrey in Mumbai. So for Bobby Sidhu either, it'll be a hattrick of misses, or 3rd time charm. It isnot possible to predict movie business with consistency. We at filmidrishtikon are trying to stay away from it.